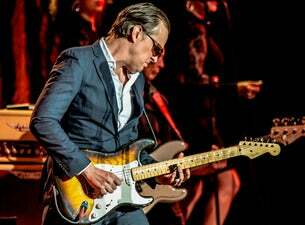 Hailing from Utica, New York, Bonamassa could play the blues before he could drive a car. He first heard Stevie Ray Vaughan at age four and was instantly taken by Vaughan's high-powered playing. At age eight, he opened for B.B. King, and at age 12, he was playing regularly around upstate New York. It was soon thereafter that Bonamassa hooked up with the band Bloodline, which featured other musicians' sons: Waylon Krieger (Robby Krieger's son), Erin Davis (Miles Davis' drummer kid), and Berry Oakley, Jr. (son of the Allman Brothers bassist).